With only six months to go before one of the most anticipated solar eclipses in a lifetime, the University of California, Berkeley, and Google are looking for citizen scientists to document and memorialize the event in a "megamovie," and help scientists learn about the sun in the process. The Eclipse Megamovie Project is seeking more than a thousand amateur astronomers and avid photographers to record the Aug. 21 total solar eclipse and upload their photos to be stitched together into a movie documenting the path of totality from landfall in Oregon until the moon's shadow slips over the Atlantic Ocean off South Carolina. While no one on the ground will see the total eclipse for more than 2 minutes and 40 seconds, depending on how close they are to the center of the path of totality, the images collected by the Megamovie's volunteer team will be turned into a 90-minute eclipse movie unlike anything seen before. Even an airplane flying along the path of totality can only capture at most a four- to five-minute movie, since the moon's shadow moves along the ground at up to 1,500 miles per hour. The last time anyone tried to stitch together eclipse images like this may have been in the 1800s via hand-drawn sketches, without the benefit of today's modern digital technology. The volunteers will be selected and trained by the Eclipse Megamovie Project team, but anyone with a smartphone can also contribute. The public will be able to download an app, expected to debut in April, to take time-coded photos of the eclipse and upload them for inclusion in a second, though much lower-resolution movie. The team also hopes to include raw images from any source in its archive. Several team members will be testing the app in Patagonia on Feb. 26 during an annular eclipse, that is, one in which the moon does not completely cover the disk of the sun, leaving a bright ring or annulus. This happens when the moon is farther from Earth, making its apparent size smaller than that of the sun. Both movies will be scientifically useful, said UC Berkeley solar physicist Hugh Hudson, who proposed the Megamovie idea in 2011 along with Scott McIntosh of the National Center for Atmospheric Research's High Altitude Observatory in Boulder, Colorado. When Google's Making & Science initiative heard about the idea, they were eager to join the project. Hudson is primarily interested in studying the corona—the backlit haze of hot, ionized plasma shooting out of the sun—and its interaction with the hard-to-see chromosphere at the base of the corona. While the corona can be studied with telescopes that block the brightness of the solar disk, the thin chromosphere is still lost in the glare, so questions remain about what in the chromosphere generates the jets of plasma seen in the corona. "The movie is a tool for scientific exploration," Hudson said. "We'll be collecting this level of data for the first time, from millions of observers, and it will be a valuable archive. 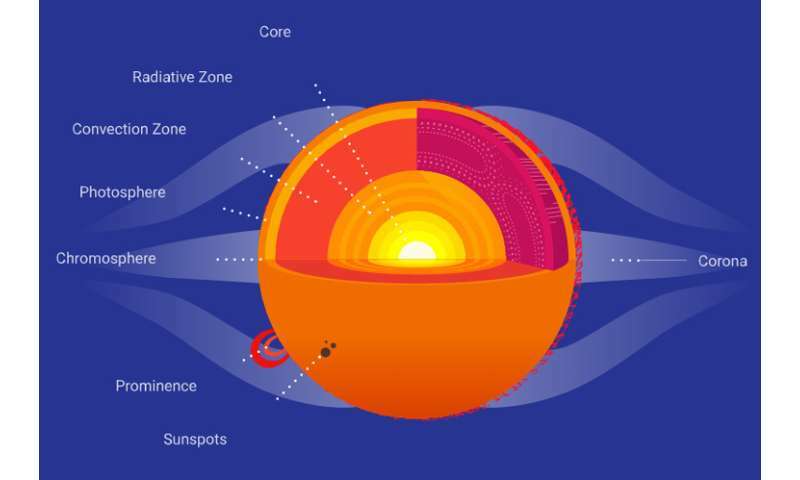 But we don't know what we'll see or what we'll learn about the interactions between the chromosphere and the corona." Images taken just before and just after the moon covers the sun can also be scientifically useful, Hudson said. The sun peeks out from behind the moon at numerous places as totality approaches, producing multiple bright spots around the rim known as Baily's beads, which can help astronomers map lunar geography. 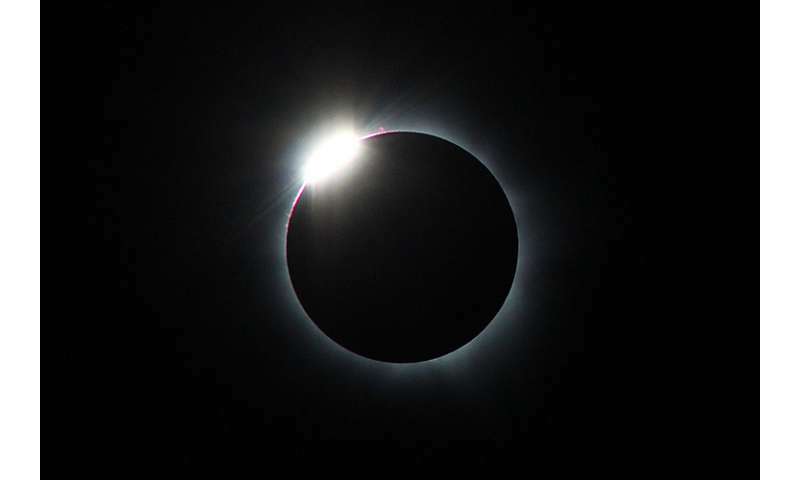 The last flash before totality and first flash afterward—producing what is known as the diamond ring effect—can also reveal features on the moon, and may help refine estimates of the size of the sun. The smartphone app will be able to capture these flashes automatically. The Eclipse Megamovie Project team is comprised primarily of UC Berkeley's Multiverse education program at the Space Sciences Laboratory and Google's Making & Science initiative. But the team is also partnering with the Astronomical Society of the Pacific (ASP) and others. For its part, the ASP is reaching out to its network of more than 400 amateur astronomy groups nationwide and encouraging them and other knowledgeable photographers to take a one-hour webinar about how to capture useful data and upload it to the project's online database. These astrophotographers will need a digital single lens reflex camera, or DSLR, with a zoom lens of at least 300mm, plus a tripod and the ability to record their GPS location and time to within a second in coordinated universal time (UTC), the world's clock standard. Meanwhile, the Multiverse team is visiting communities along the path of totality, which will stretch across 11 states in a band at most 72 miles wide, to encourage safe viewing during the eclipse, municipal coordination for the vast number of visitors expected to descend upon the mostly small towns within the path and participation in the Megamovie project. 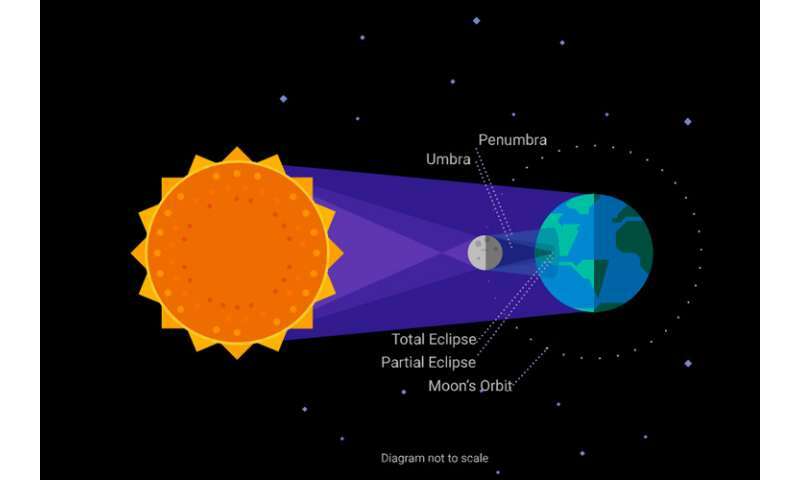 While those within this band will see a total eclipse, everyone else in the continental United States will see a partial solar eclipse, said Laura Peticolas, a physicist who directs the Multiverse program and oversees the educational component of the Eclipse Megamovie Project. 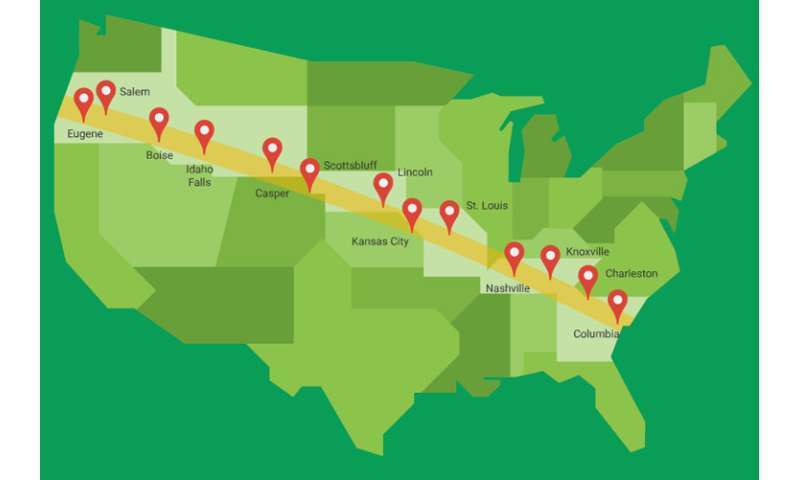 "We want everyone to know about the natural wonder, scientific importance and social impact of viewing a live total solar eclipse," Peticolas said. "It is truly a transformative, life-changing experience and we want to prepare people for that." The first version of the Megamovie should be available for viewing online several hours after the eclipse ends at 18:49 UT (1:49 p.m. local time) on the U.S. east coast, "in time for the nightly news." Uploads are expected to be about a gigabyte per person, with thousands of people contributing, which adds up to terabytes of data. The science will come later, but all the data will be available online for anyone to study—including citizen scientists. Amateur astronomers and knowledgeable photographers who want to contribute to the high-resolution movie can sign up now at https://eclipsemega.movie/ for project updates and information about the application process. If selected to participate, they will receive an exclusive pin and recognition in the credits for the Eclipse Megamovie Project. They will also be able to register an astronomy club of their choice to receive a free package of solar viewing glasses.